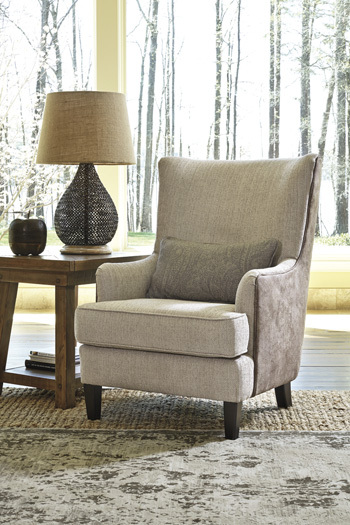 Item Description: With its sheltering feel and stunningly good looks, the Baxley accent chair with dual-sided upholstery is well worth a double take. 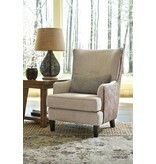 Seating area’s chenille-feel upholstery is crisp, clean and purely delightful. 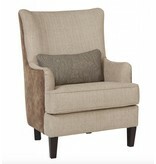 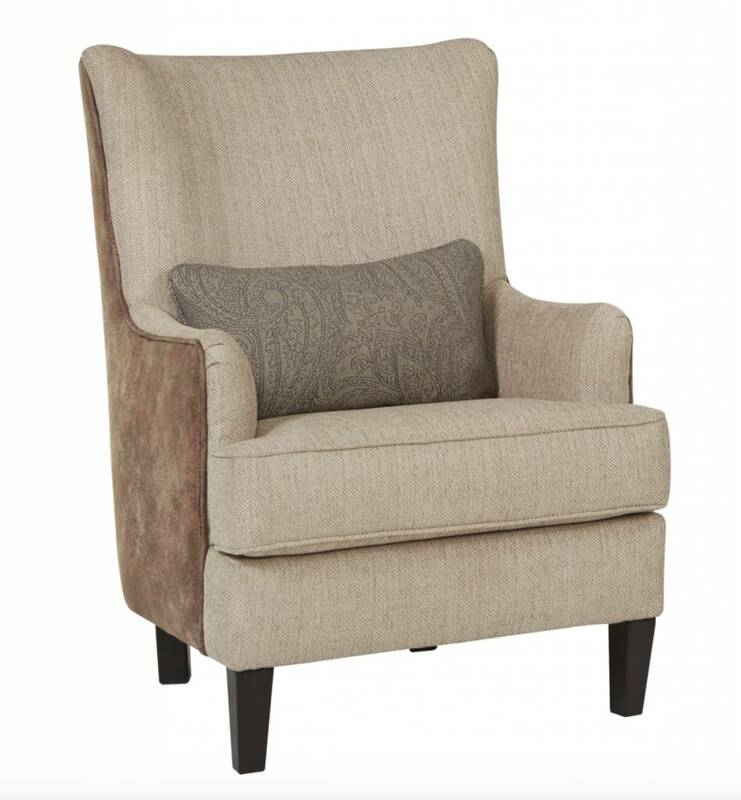 Curvaceous back sports a faux suede fabric, elevating how cool a wingback chair can be.